Update: The OnePlus One keeps updating even after several years from its launch. OnePlus One is sure the best smartphone from the manufacturer. 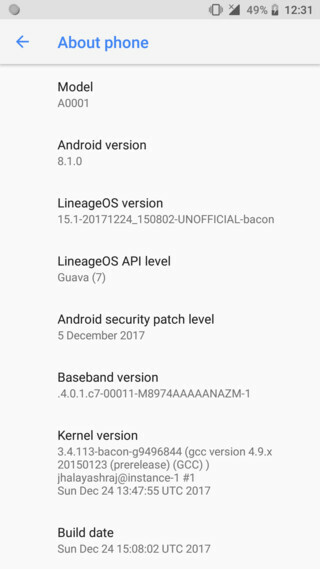 Although OnePlus 6 is available now, OnePlus One still has many users running the latest Android 8.1 Oreo with the help of Lineage OS 15.1. Today, the official nightly build has been deployed for the OnePlus 1. So download and install the latest update from below. Lineage OS 15.1 is the next big thing when it comes to custom ROMs. The project developers have started rolling out official Lineage OS 14.1 to Lineage OS 15.1 ROM builds for several Android phones such as OnePlus 3 and 3T or from several manufacturers such as Samsung, OnePlus, YU, Google Nexus, etc. The latest device to receive the Lineage OS 15.1 ROM is the OnePlus One. As the OnePlus One will never see Oxygen OS 5.0 Oreo update, the ROM is your best bet to get Android 8.1 Oreo. The manufacturer of OnePlus One may have abandoned the device, but the devices keeps updating with unofficial software such as Lineage SO 15.1. 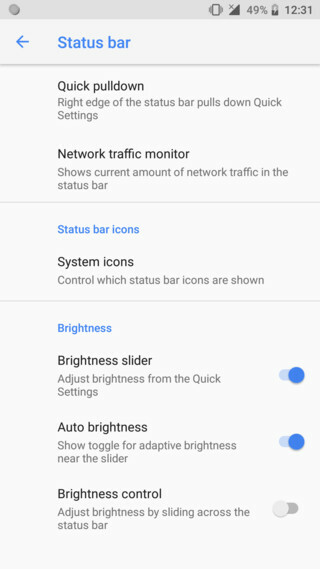 Along with the ROM, you will need the latest Gapps for Android 8.1 Oreo. Moreover, if you are looking for rooting the Lineage OS 15.1, then the latest Magisk 15 is just the right thing for you. How to install Lineage OS 15.1 for OnePlus One? Make sure your OnePlus device has the Bootloader unlocked. Unlock Bootloader and rooting tutorial can be found in this tutorial. Make sure OnePlus One is rooted and has the latest TWRP recovery installed. Download the Lineage OS 15.1 ROM, Gapps, and Magisk zip from the download section above. Transfer the downloaded files from PC to your device. Take a full Nandroid backup of device in case something happens. Install the latest TWRP on your device if you haven’t already. Perform a full wipe i.e wipe out Cache, Dalvik cache, and system, data. Now flash the 8.1 Oreo custom ROM for OnePlus One by selecting the install option. Finally, flash the GApps and Magisk. Enjoy the latest Android 8.1 Oreo update. Connect with us on our social media platforms.